We talk about wind-load reduction a lot here at BannerFlex, and thanks to the engineered banner bracket hardware solutions we offer, you can hang banners without worry. We have over 30 years of experience in the banner hanging and banner hardware field, and this experience has helped us create the best solutions for your pole banners. 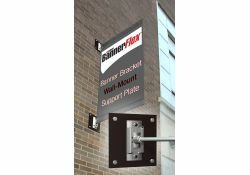 With the cooler weather of fall and winter and the harsh winds that sometimes accompany them, you need the right banner bracket hardware to hold up all your street pole banners. 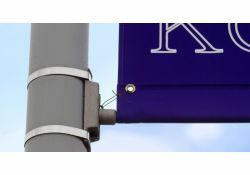 Faulty street pole banner hardware can be very hazardous to bystanders during intense winds, but the banner bracket hardware from BannerFlex won’t let you down. As snow begins to melt around us and the spring rain starts to fall, it comes time for signs with the best banner bracket hardware advertising springtime fun. If you are like us at BannerFlex, then once you finally make that satisfying transition back into shorts and a t-shirt, you want to be out and about participating in as many outdoor activities as you can. And, as others do the same, there is no better way to grab their attention than with a eye-catching, screen-printed banner supported by the finest banner bracket hardware. 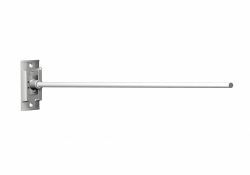 Introducing the New RoundPro™ BannerFlex® arms Plus a new 12-Year Warranty! Consort's Kalamazoo Banner Works division is pleased to announce another "first" in the world of street pole banner brackets! 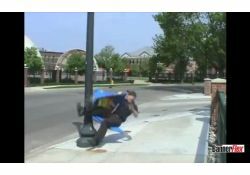 What happens when the incorrect banding is used to install light pole banners? Here in Michigan, and many other places, Labor Day marks the end of summer. Changing over to autumn often means changing out banners to highlight school pride and upcoming annual events. The autumn season is often the beginning of new schedules and new routines – the perfect time for fresh eye-catching banner artwork. 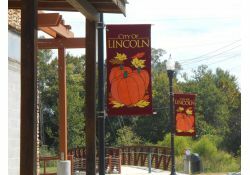 Let us suggest a few fall-specific applications for your current or expanding street banner collection. 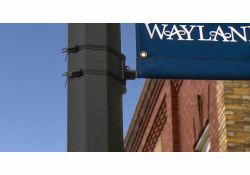 Street pole banners are a staple in many communities. 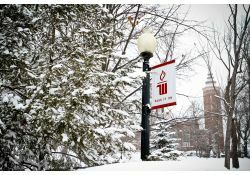 They can be seen lining the streets with a holiday theme, welcoming residents and visitors to the community, or showing college pride in the area around a city or town's college campus. In this post we will look at three of the most popular reasons for displaying street pole banners. 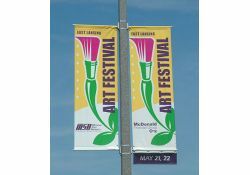 We're very proud to be the first company to use fiberglass arms for light pole banner mounting. Not only were we the first, we changed the industry as a whole. 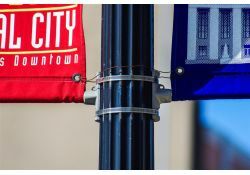 If you're walking down the street and look up at a vertical street banner, check out the hardware that is holding the banner on the pole, chances are it will be a white or off-white pultruded fiberglass rod. 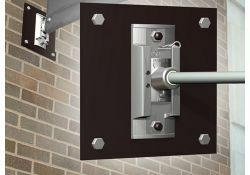 This technology, that we developed over 30 years ago, is used by almost every bracket manufacturers.